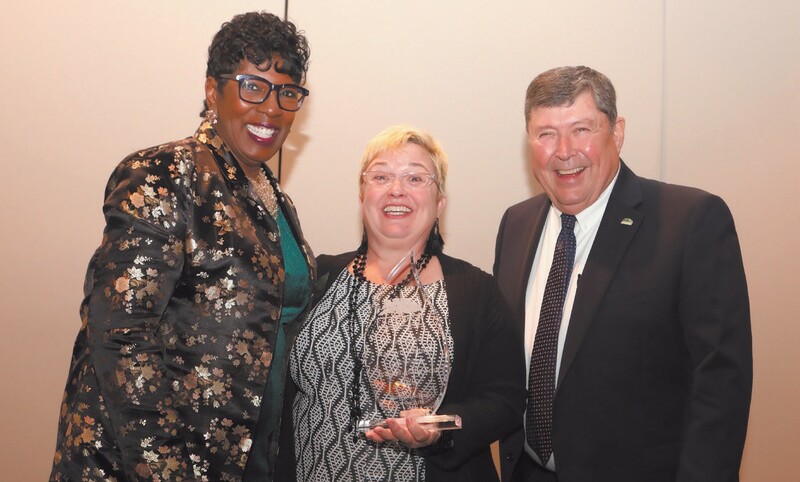 The annual Savannah Chatham County Public Schools Teacher of the Year Gala was held Friday, February 22, 2019, at the Westin Savannah Harbor Golf Resort & Spa. Fifty-five teachers were honored from nearly every school in the District and Kathryn Whitney of Garrison School for the Arts was named the 2020 Teacher of the Year. As a representative of the many quality teachers across the Savannah-Chatham County Public School System, the District’s Teacher of the Year is honored with the distinction of having the Flag of Learning and Liberty proudly displayed at their school. In addition to leading the SCCPSS Professional Senate for Savannah Chatham educators, the District Teacher of the Year acts an ambassador visiting local schools throughout the year, taking part in school board meetings and representing the district at various events throughout the area. Kathryn Whitney will also continue for consideration in the state-level Teacher of the Year program. Kathryn Whitney, like her grandmother before her, is a graduate of Savannah High School and Armstrong Atlantic State University where she earned her Bachelor of Arts in English in 1992 and her master’s degree in Early Childhood Education in 2003. She considers her greatest accomplishment to be the continued success of past students and intern teachers. Ms. Whitney teaches gifted students Kindergarten and First Grade students at Garrison School for the Arts.